All this might seem complicated, but it turns out things ARE messy in the world of poison ivy, oak, and sumac. Don't blame me! I am trying to clear up the confusion with the two kinds of poison ivy, the two kinds of poison oak, and the one kind of poison sumac, which is not related to the other sumac trees. See? Complicated! Eastern poison ivy grows on the ground, climbs, and sometimes grows as a shrub. 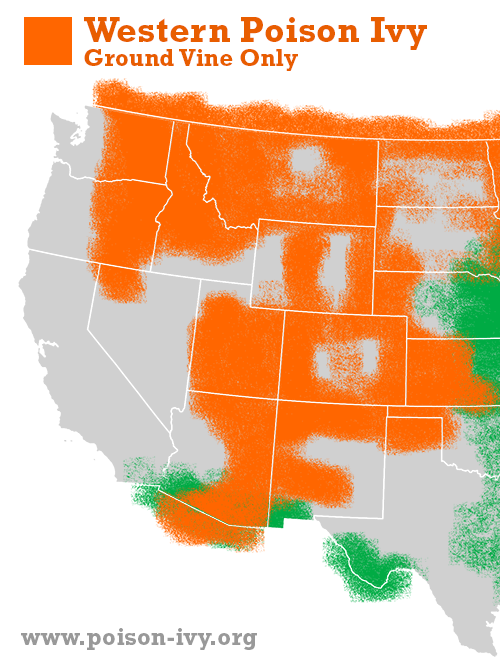 It is a massive problem from the Midwest through the East. 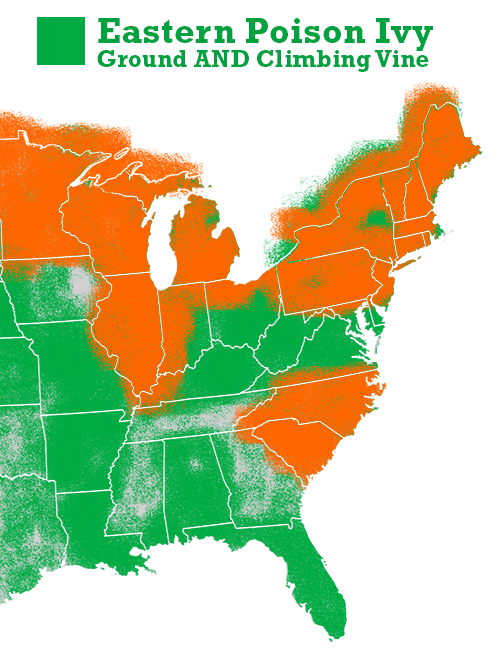 Western poison ivy is only a ground vine and is less of a problem in the West. But the plants overlap and are hard to tell apart. 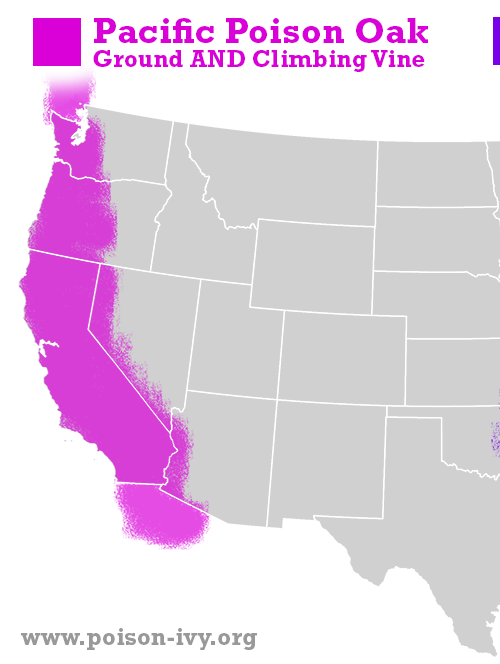 Pacific poison oak is a BIG problem in California. It grows as a ground vine, a shrub, and a climbing vine. Atlantic poison oak is not very common but is hard to tell from poison ivy. 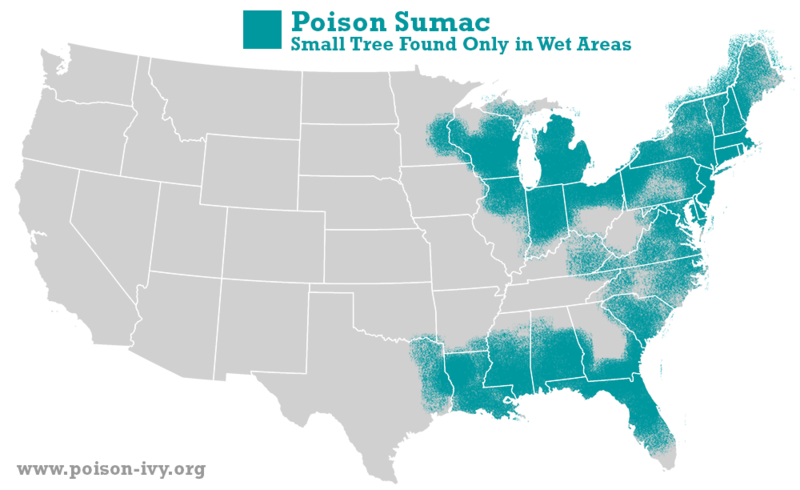 Poison sumac is ONLY found in very wet areas. 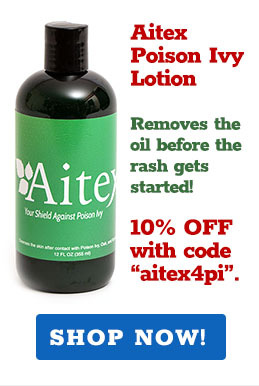 The plant is rare compared to poison ivy, but once you find it, you may find quite a bit.